Gearbox Studios has already created an insane amount of hype during their Borderlands 3 reveal at PAX East. However, knowing Randy Pitchford and the masterful craftsman that he is, this isn’t enough to satiate his desire for messing around with the fans. This is no more evident than when the developer tweeted about the gameplay reveal set for May 1, and at the same time hinting at some secrets that are hidden right in front of our face, namely the box art of the game. Sharing a high resolution image of the cover art, Gearbox has pulled back the curtain, albeit only slightly. The enlarged cover art, which can be viewed here, contains some hidden messages and Easter eggs. For instance, at the bottom right is bunch of numbers stringed together that was barely seen up until now. Turns out, this is a special code, but thanks to some internet sleuthing, fans have already cracked it. When fully translated it reads “we don’t speak of Sanctuary 2.” Fans will immediately recognize the name Sanctuary, as it acted as the main hub world of Borderlands 2, which begs the question, if theirs a second Sanctuary, what happened to the first one? Another secret can be located at the very top, specifically the rocket ship blasting into the sky. Three symbols are next to the ship, two on the right and left, and one at the top. A smiley face, an equals sign, and a key. At first glance one might think this means “happiness is key” but it’s not entirely clear if this is the true purpose of these symbols. Other secrets are a little easier to find, such as a hidden SHIFT code that is cleverly placed on every single gun in the cover art. The code unlocks Mayas Community Day skin as well as 5 more Golden Keys for Borderlands 2. We’re sure to be in for more reveals and teasers, but for absolute confirmation, we’ll just have to wait until May 1. 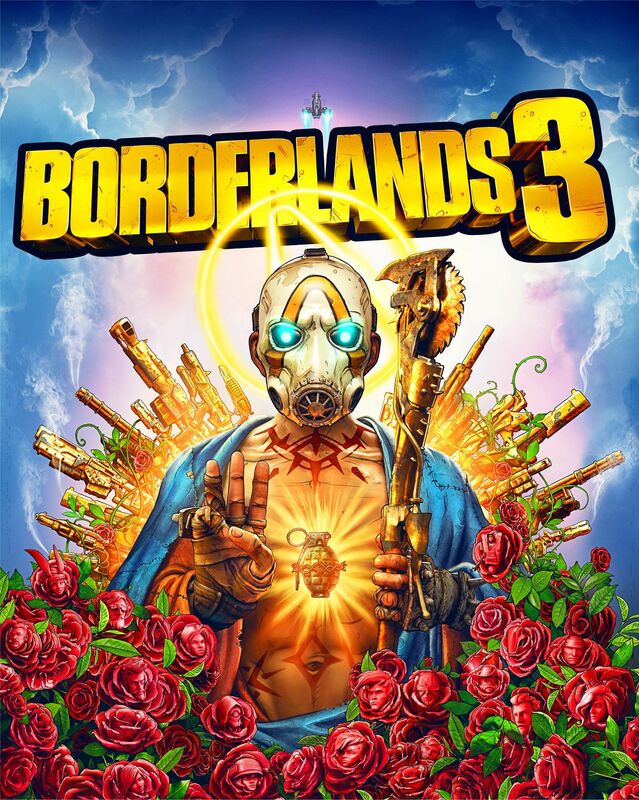 Borderlands 3 launches on September 13 for the PlayStation 4, Xbox One, and PC through the Epic Games Store as a six month timed-exclusive.